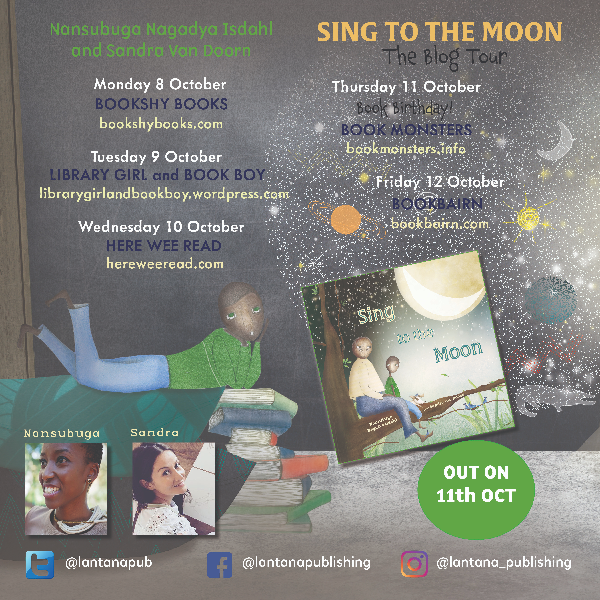 Welcome to my stop on the Sing to the Moon blog tour, and I’m thrilled to be taking part on its book birthday no less! 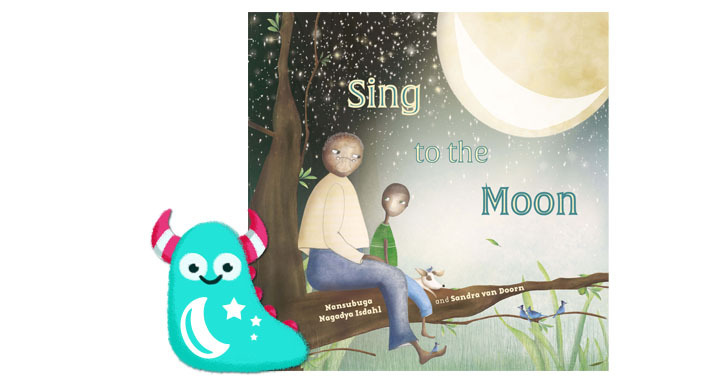 Sing to the Moon is a unique and imaginative, diverse picture book written by Nansubuga Nagadya Isdahl, illustrated by Sandra Van Doorn and published by Lantana Publishing. The human mind is a powerful thing, just look at all the books around us that have been born from the imaginations of amazing authors and illustrators. Imagination can conjure magical, unusual, incredible scenes and ideas. But our actual experiences can be equally amazing, Sing to the Moon celebrates both of these marvels. 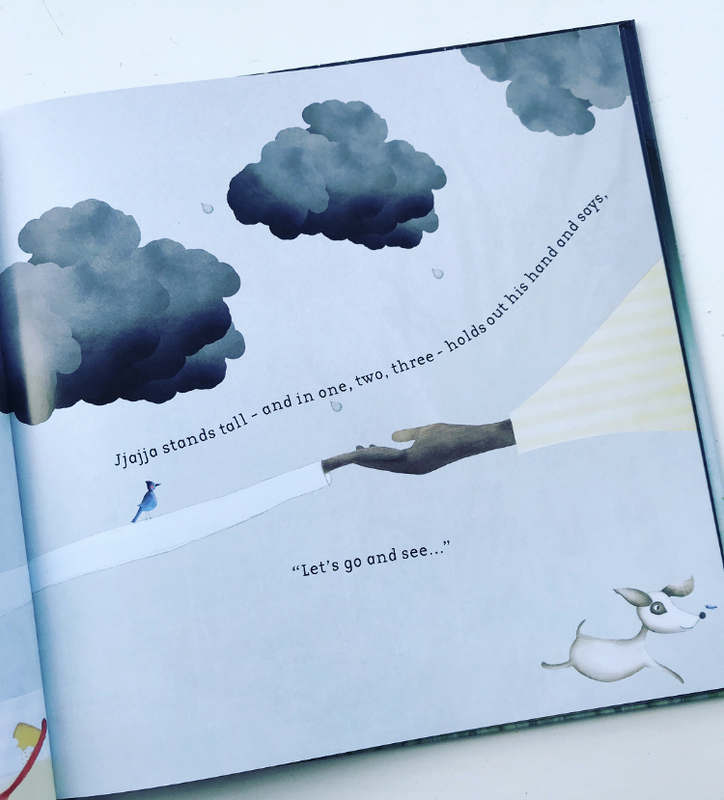 Inspired by rainy days during the rainy season in Uganda, where author Nansubuga would listen to tales told by her dear Jjajja (Grandfather), Sing to the Moon celebrates our own hopes and wishes, the fantasy, hand in hand with real life. The very first phrase in this book is “If I had one wish…” and we are taken through an imagination and a beautiful dream containing a mixture of realistic and fantasy imaginings. But then, into reality, long rainy days stretch ahead of our main character, and boredom sets in. But then, along comes Jjajja, Grandfather with all his remarkable stories to tell. Fantasy is now left behind, and we are introduced to tales of his past, of real life experiences as exciting and entertaining as the dreams had before. Sing to the Moon is beautifully written in rhyming style, and it’s perfectly done. I love a good rhyming story that is easy to tell and flows wonderfully. This is one such book. It is immensely personal writing from Nansubuga, showing us how we should always value our loved ones, and the importance of taking time to be with them and listen to their stories. It’s a diverse and lovely lesson in mindfulness. Heads in laptops, tablets and phones, adults and children sometimes forget to enjoy each other, in particular their elders. 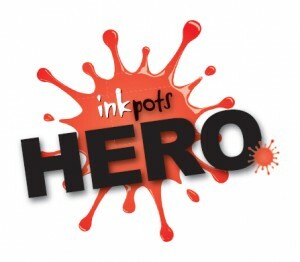 This book will show the importance of this and how fun this can be! Sandra’s illustrations have a soft ethereal feel to them, broken only by the awakening to the rainy day, where she depicts the dull, dark and thundery feel, reflecting our character’s mood brilliantly well. Jjajja is bursting with personality, his face shining with the stories he holds in his head and his heart. 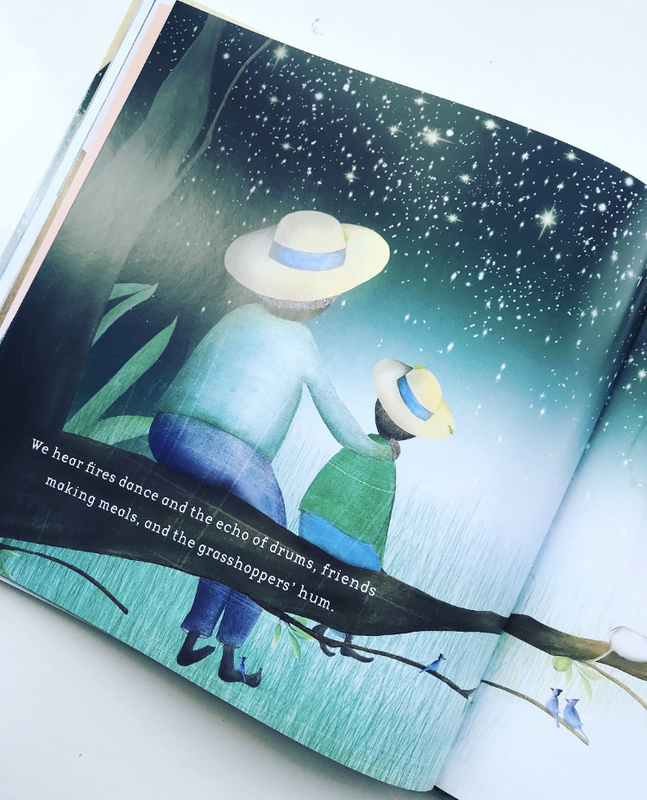 Sing to the Moon is a celebration of storytelling, of the imagination, of living in the moment and creating our own entertainment through the enjoyment of each other. It is truly lovely and important addition to any school, public and personal library. 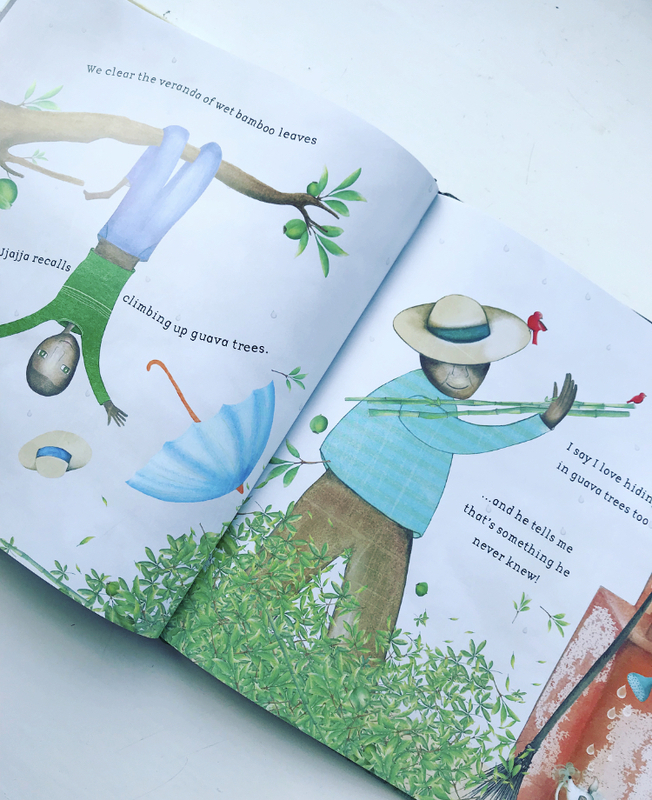 I am now thrilled to welcome to the blog author Nansubuga Nagadya Isdahl and illustrator Sandra Van Doon to the Book Monsters blog for a short Q&A. 1. You explain on the final page what inspired the story Sing to the Moon, rainy days in your home of Uganda. How has your upbringing and home inspired and shaped you in other ways? Well, that’s an interesting question for me as I have more than one home and had multiple influences on my upbringing. I was born and raised in the US, and my family is from Uganda. So, both the US and Uganda are home. Much of the time I spent in Uganda was as a young adult… which is why I think it was so memorable. I was able to take in so much more, I like to think, after having a sense of longing for this ‘far-away-but-close-to-my-heart’ place for most of my childhood. I think my upbringing—being from two distinctly different cultural places—has both inspired and shaped me in many ways, but mostly through my point of view. I find myself feeling at home and out of place often (with a slight lean towards out of place). I think this dichotomy means that I pay close attention to notions of people and place and I am absolutely inspired by the challenge of turning feelings of ‘otherness’ into something beautiful. 2. I love rainy days, and your story was a lovely glimpse into one of your rainy days with your Jjajja (Grandfather), full of emotion and joy. What was your favourite thing to do on a rainy day? I am driven by the sensory world (i.e., touch, smell, sound, taste). So, my favorite thing to do on a rainy day was and still is to listen to the sound of the rain. It’s as simple as that. I find listening to the rain and doing nothing else an entirely pleasurable and complete experience. 3. If you had one wish, what would it be? At the risk of repeating myself (this is a line from the book – lol), if I had one wish, it would be that we could all remember, all the time, that we are loved by some universal force greater than ourselves. I’m sure if I could indeed remember that always, my daily actions would be gentler… and perhaps the same would be true of the world. Thank you. Thank you so much to Nansubuga for those wonderful and personal answers. Your illustrations in Sing to the Moon are at times calm and gentle, at others bright and exciting. What mediums do you use in your art to achieve this varied and unique style? The mood is very much inspired by the text. I like to mix traditional media and digital work. I mainly use Rembrandt soft pastels, on thick cartridge pastel paper; this gives the drawings a lovely soft blurred & dreamy feel. There is much finger blending involved with pastels so much so that after working on a couple of book spreads my fingertips really hurt! Once I am happy with the pastel drawing, I scan it and prepare the book page layout in Photoshop. If I want colours to pop a little more, I do a little retouching in Photoshop. 2. 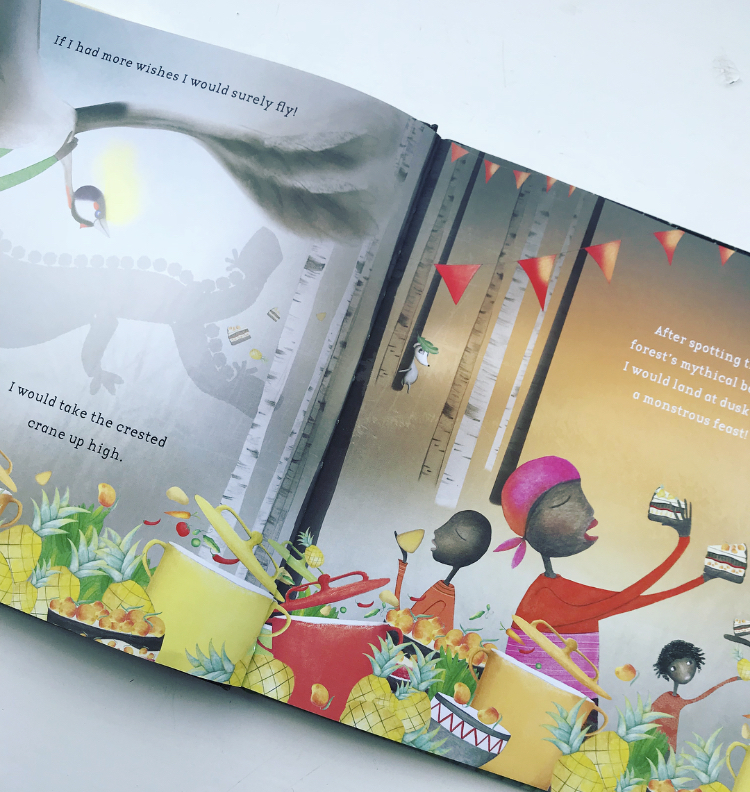 It is clear from your illustrations in Sleep Well Siba and Saba and now Sing to the Moon, that family ties are something that shine in your artwork. 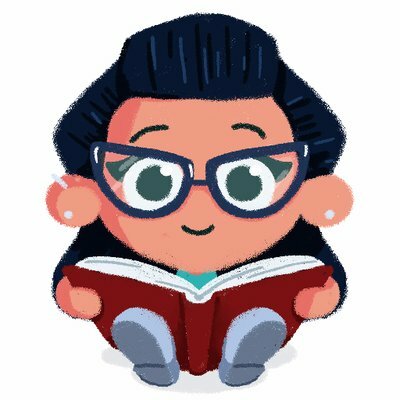 What other things influence your art? I like to observe everyday life scenes; I play spectator at the café, at the supermarket, when I stand in line… everywhere. I take note of sounds & movements, conversations. It’s similar to watching a movie – Ilove beautiful cinematography. Every aspect of illustration is similar to creating a movie scene; where is the light coming from? What mood do I want to achieve? What is my character doing but also what’s happening simultaneously? I would time-travel! Paint with the great Dutch painters, have a cup of tea with Charlotte Bronte, sing “La vie en rose” with Edith Piaf… One can dream, right? Thank you also to Sandra for her equally fascinating answers. I would also love to time travel! Sing to the Moon is released today, 11th October 2018, and is available from all good book shops and libraries. Thank you to Lantana Publishing for sending me a copy of this gorgeous book, and thank you for reading this Book Monster review. Don’t forget to check out the other stops along the blog tour!